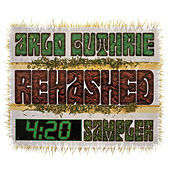 Much like his father, the late, great Woody Guthrie, Arlo Guthrie plays light-hearted folk music that swims in the conscience of social and political issues. Guthrie grew up in the footsteps of his father's world and learned to play guitar shortly after learning how to walk. 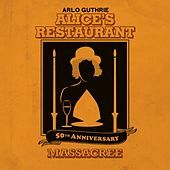 In 1967 he wrote a comedic song by the name of "Alice's Restaurant" that had nothing to do with an impatient grill cook who called his employees "dingy broads." What it actually touched on were timely issues of the draft board, the Vietnam War, and police harassment. Although that album (by the same title) was his only gold record, Guthrie continues to tour and support environmental and human rights causes. The songs here are a collection of some of his best works throughout his career. Although some of his content is a little dated, the man's music is almost as timeless as his father's. Almost.